A woman in Baguio City ended up as another victim of identity theft. 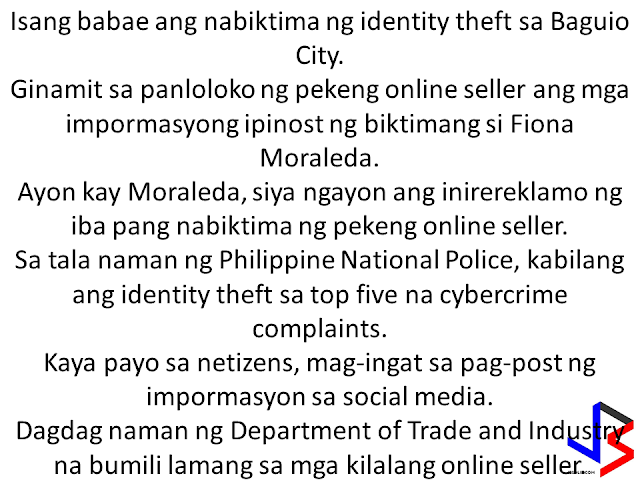 Fiona Moraleda, had been a victim of a fake online seller after she posted personal information on her social media account. According to Moraleda, many buyers or victims are now complaining her for the deeds of the fake online seller who scammed customers after pretending to be her. 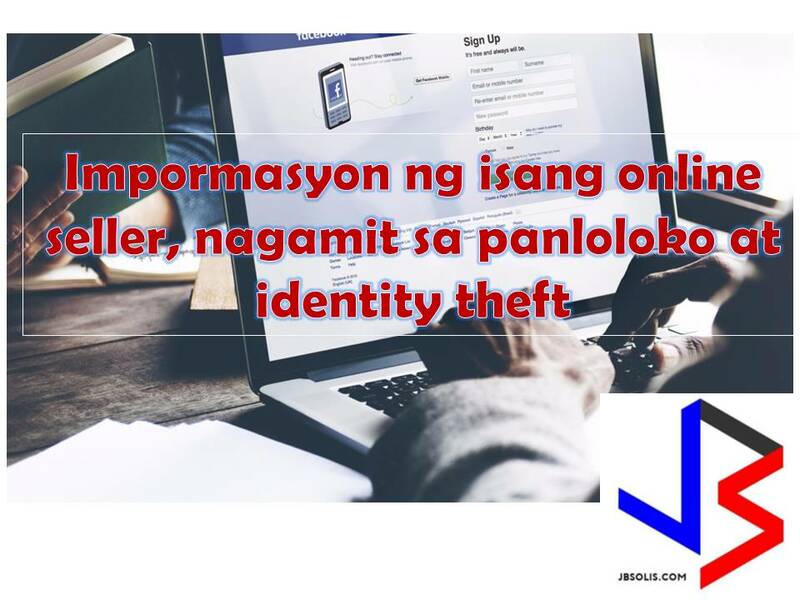 Based on statistics from Philippine National Police, identity theft remains among the top five cyber-crime complaints. It is advised, that in order to not end up as victim of identity theft, we must avoid posting personal information or details that could be used by another person to steal your identity. Some of the documents that should not be posted are ID, passport, documents and even receipts that shows your exact address, birthday and other contact details and personal information. The Department of Trade and Industry is also admonishing the public to buy or transact only with legitimate sellers or those who you know personally.